Lego 3385 Train Conductor列車調度員屬於小食禮物,於2003年作為禮物送出的 polybag小組合. 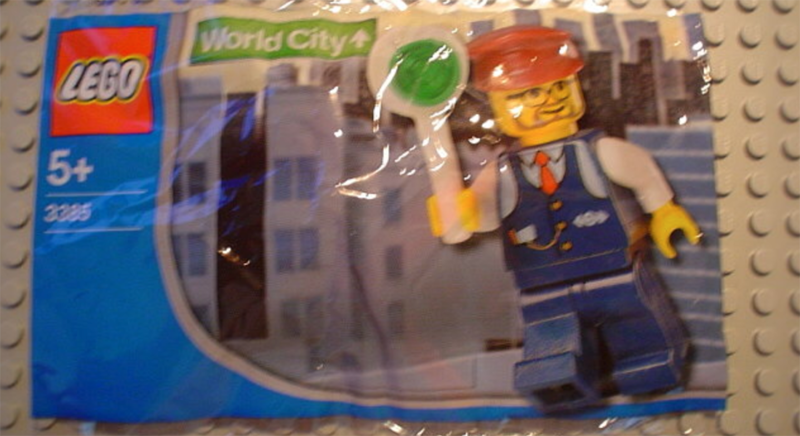 Lego 3385 Train Conductor 列車調度員屬於 Lego World City 系列( Lego City 前主題)於2003年發佈並作為食物 Chupa Chups Sweet 的宣傳禮物送出. 六 件組件當中包括列車指示牌及一隻列車調度員 minifigure.